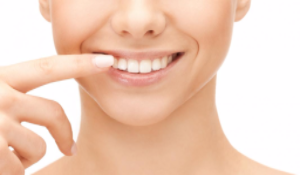 How can dental veneers help you get that beautifully confident smile? There are lots of people nowadays suffering from different tooth problems and oral diseases such as tooth gaps and spaces, discolored teeth and worn-out tooth enamel. There are treatments available in your dentist’s office to correct these problems but minor teeth issues can be addressed with a more proper therapy. Dental veneers or commonly referred to as porcelain veneers are wafer-thin shells made to cover up the teeth’s surface to improve either the aesthetic appearance of the teeth or to cover up a tooth gap. The veneers are bonded to the teeth changing the size, length, color or shape. Since porcelain resembles like tooth enamel, it is made to look natural to match the patient’s teeth. On a normal tooth, light travels and reflects through the slightly transparent enamel, reflecting the dentin, the following layer of the tooth, which gives a sparkling effect on our teeth. Porcelain works this way, thus, it is being commonly used as a material in various cosmetic dental procedures. Porcelain veneers are also stain-resistant. People who are often drinking dark-colored beverages such as coffee, tea, carbonated drinks or even those who smoke won’t worry anymore about getting their teeth discolored. If ever your veneers get stained, they can be easily cleaned and polished during your cleaning procedure. Since porcelain veneers are made from a durable material, these can last up to 10 years depending on how do you maintain it. Veneers are proven to return the full functionality of your teeth. Among other benefits, dental veneers require a minimal invasive procedure and can be made for your dental needs. But along all the benefits you can get from wearing dental veneers, there are also risks that you need to consider, although they are minimal. Patients who underwent this procedure could experience some minor tooth sensitivity right after the procedure. You should also consider the pricing of this treatment. Usually it ranges from $700 to $2000 per tooth. Porcelain veneers are a superb way to treat stained teeth or gaps between teeth. With this, a bright and natural-looking smile can be attained. Dental issues that cause discomfort and embarrassment can be fixed with this easy and minimally invasive procedure. It is important to discuss your medical history with your dentist before getting this procedure. It just doesn’t help you become aware of its benefits and risks, but it also ensures you that you can achieve a better and perfect smile.